"I knew I had no chance," Bellinger said. "At that point, I'm just glad I won the first round. It was pretty tiring. I was just trying to get out as many as I could." No worries from him, though. "I didn't know what to expect, but that was more than I expected," Bellinger said. "That was probably the best time I've had playing baseball." This Day in Dodger History: In 1978 Steve Garvey becomes the first two-time ALL-Star Game MVP in Baseball history. 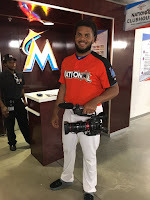 Garv recorded a game-tying, two-run single in the 3rd inning and a triple and run scored in the 8th inning to help the National League to beat the AL, 7-3. In 1980 the Dodgers sold knuckleballer Charlie Hough to the Rangers. Always classy! Per Andy McCullough at the LA Times; "Clayton Kershaw tips cap to Max Scherzer; says Nationals star earned All-Star game start." I can't wait to see this. 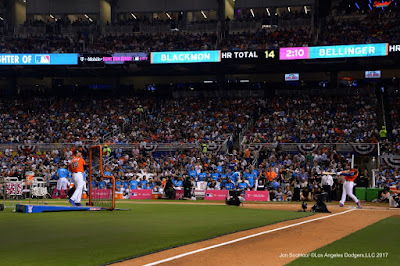 Did you notice Kenley Jansen with a camera during last nights Home Run Derby? 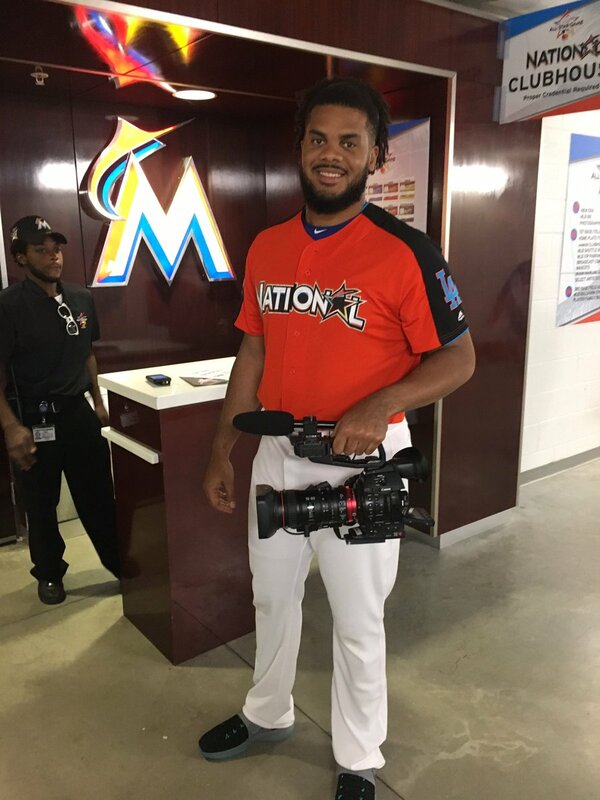 Well, he is apparently helping out SportsNet LA on a future feature for Backstage Dodgers, per Kenley's tweet. This is just fantastic news. Jeff Sullivan at FanGraphs takes a look at the second-half schedules of every team and the results are good for the Dodgers. They appear to have the easiest schedule in the National League, going forward. Go here to check it out. Doesn't it feel like Dodger prospects are getting recognized more often than any other team? It's almost as if we're filled to the brim with future stars and that we're about to experience an explosion of young players ready to make an impact. Per Eric Stephen at True Blue LA; " Shibuya, DJ Peters capture minor league weekly awards." 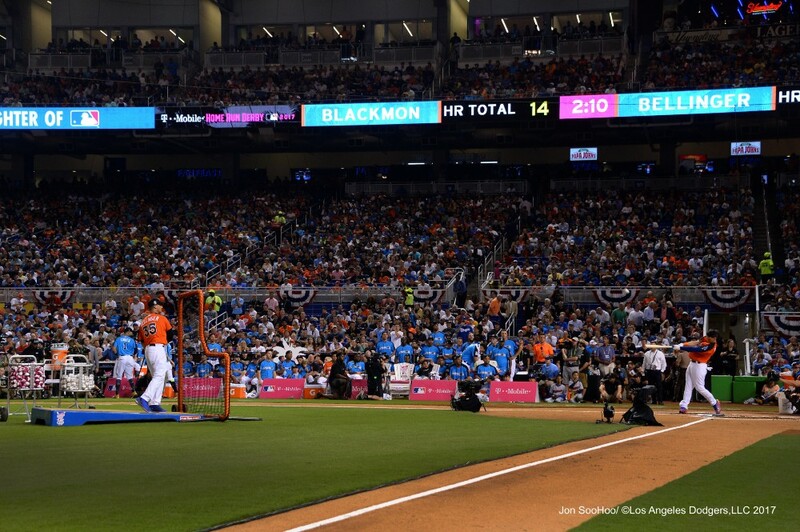 “Putting the ball in play, there’s always a chance for me to get on base,” Kendall said. “I feel I’m more of a gap-to-gap guy, get on base. One thing I do need to work on is just putting the ball in play more consistently to make the defense play a little more.